Don’t forget to come along to the Congress Theatre on Saturday morning (12 November) for our Autumn Fair in the Foyer and Congress Suite. 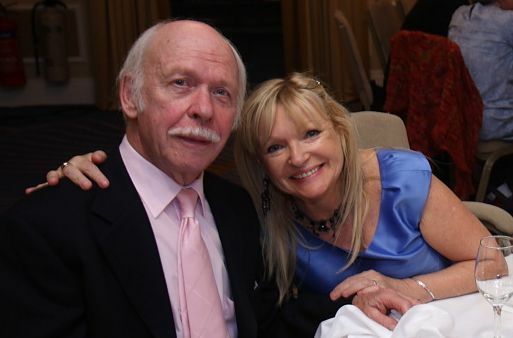 This year we are absolutely delighted to be welcoming our long-standing Patron, Brian Murphy, who will be opening the event at 10am. Brian will be accompanied by his wife – the renowned actress and crime writer – Linda Regan who will be selling and signing her books. Linda is kindly donating the profit from the sale of her books on Saturday to The Friends! With many different stalls and fun things to do – not forgetting our now famous cake and toy stalls – you will be spoilt for choice! A good opportunity do some early Christmas shopping, or try to win some festive cheer in the wine and spirit raffles, or perhaps chance your luck on the tombola or the instant raffle. Then sit down and relax with a cup of coffee or tea and tempting homemade cakes and scones. Help makes this Fair – sadly the last we will hold in the Congress Suite – the most successful ever!